The interrobang, also known as the interabang (‽) (often represented by ?! or !? ), is a punctuation mark used in various written languages and intended to combine the functions of the question mark, or interrogative point, and the exclamation mark, or exclamation point, known in the jargon of printers and programmers as a “bang”. The glyph is a superimposition of these two marks. A sentence ending with an interrobang asks a question in an excited manner, expresses excitement or disbelief in the form of a question, or asks a rhetorical question. 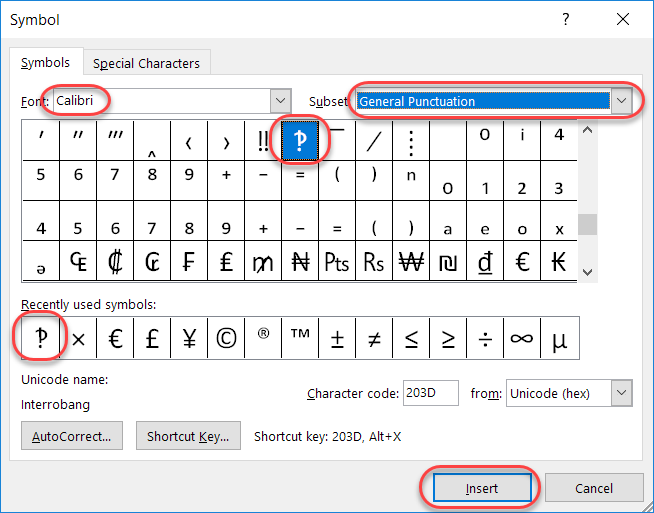 Now that you know about it, how can you use it in Skype and Office programs like Word or PowerPoint?